Mayoral candidate Benny Napolean, former Police Chief of Detroit, developed a “one square mile” plan for improving Detroit. His campaign tagline was “Together, transforming every neighborhood, one square mile at a time.” Although Napolean did not win, the idea wasn’t bad: bringing a community focused effort that defined the Detroit mayoral race. This map was created to demonstrate how his plan could work for better community policing. Looks a little similar to the Microhoods used in the recent parcel survey, Motor City Mapping project. 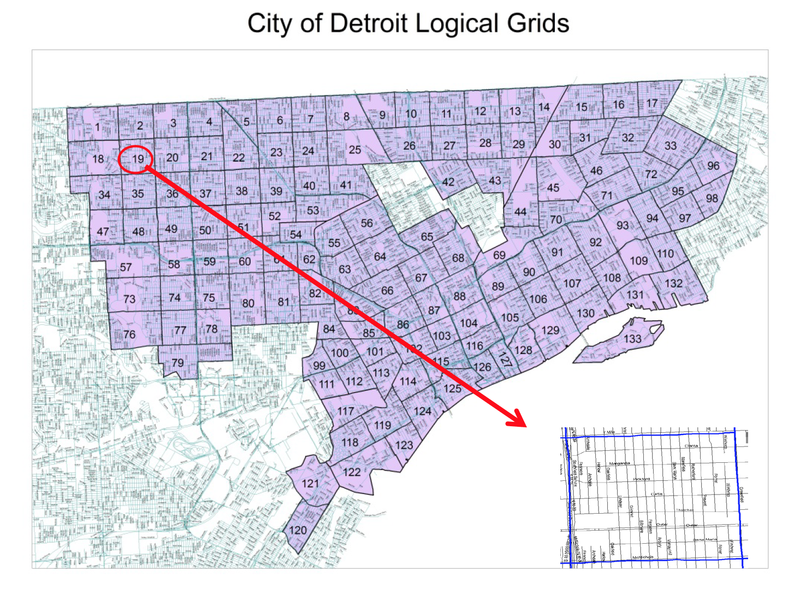 How logical do you think these grids are? I really like this. It takes one of the largest cities in the country, with some of the biggest issues, and breaks it down into more manageable pieces. If you can focus on the neighborhoods, then you can make measurable change. I think this grid could it be more logical than the Loveland Microhoods map, but I have a question? Why did you shape it like that? It is based on the social relationships that already exists in that city?